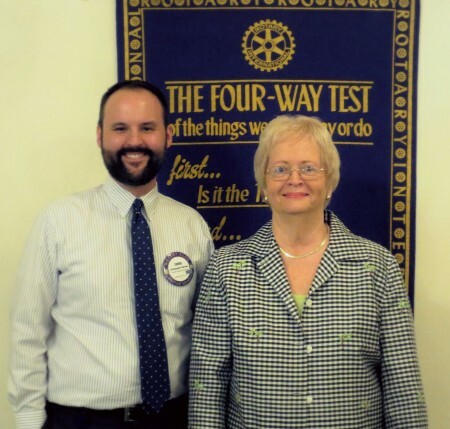 Emily Sparrow presented to the Rotary Club of Auburn, Alabama, July 20, 2016. Sparrow discussed the history of Pine Hill Cemetery during her presentation, “Real People of Pine Hill Cemetery”. Pictured are: Chris Warren, club president-elect (left) and Emily Sparrow (right).